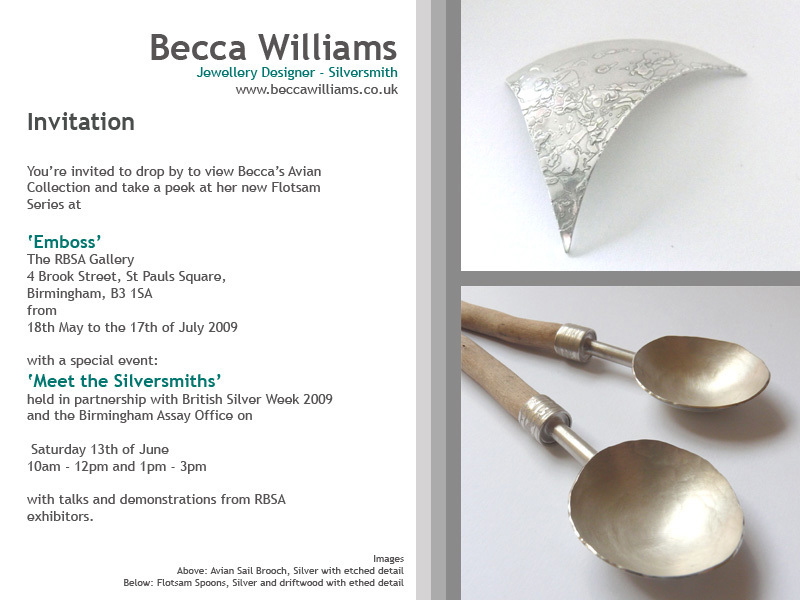 Well, the title gives it all away … I’ll be with the Desgin Space crowd in Covent Garden for a brilliant exhibition, Treasure, from the 12th to the 14th of June. Tickets are currently on 2 for 1 offer here and the whole week promises to be quite an extravaganza of modern, contemporary jewellery. No sitting around complaining about the bank holiday weather for me, oh no. Instead I was to be found sanding Tenby Street castings in preparation for Treasure in a couple of weeks. It’s a retail show that’s part of the giant, monster celebration that is London Jewellery Week 2009. It’s exciting to be involved, but since I only found out about the show last week it’s going to be something of a mad scramble to get everything done in time. 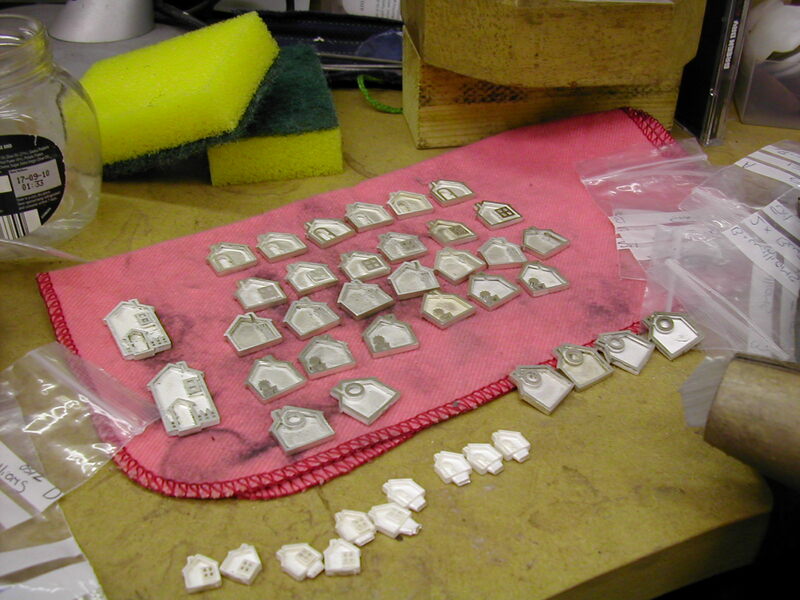 Today’s job was to get my rough castings clean and ready to have the findings soldered on tomorrow. It took a little longer than I’d hoped it would but my perfectionist streak comes out when I’m cleaning things and I start to image stratches and dinks where, to a sane person, it’s clear that there aren’t any.